Can McDonalds ‘Signature Collection’ really compete in a crowded market? 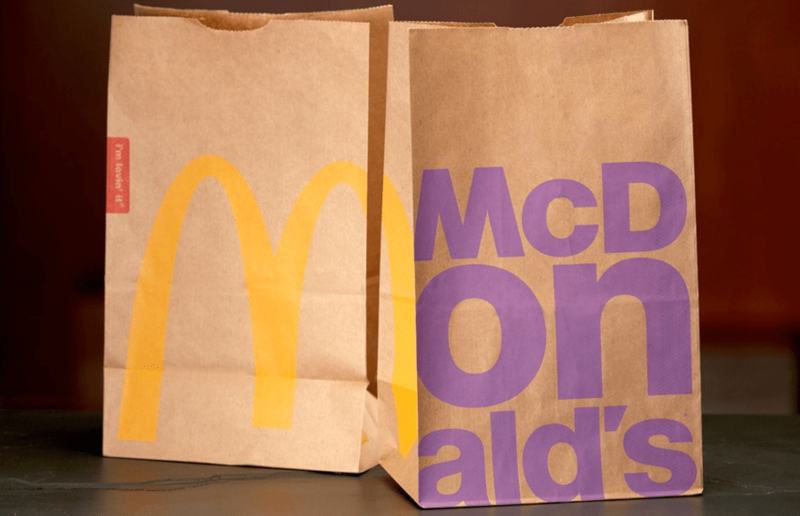 McDonalds recently launched three new burgers at UK restaurants all of which have been designed by Michelin Star chefs. As if we needed an excuse to visit, we popped our way down to one of the 28 restaurants which is trying out the new style menu for a taste. According to the worldwide chain, the three gourmet burgers in the ‘Signature Collection’ have thicker slabs of meat and are filled with ingredients you normally find in fancy gastropubs, or competitors such as Gourmet Burger Kitchen, Five Guys or Byron Burger. Will a paper bag ever really replace a plate? But can a fast food chain really match up to the success of the growing high end burger market? The burgers themselves have launched in three flavours. The BBQ, The Classic and The Spicy. We gave the BBQ a go, but here’s a rundown of each. 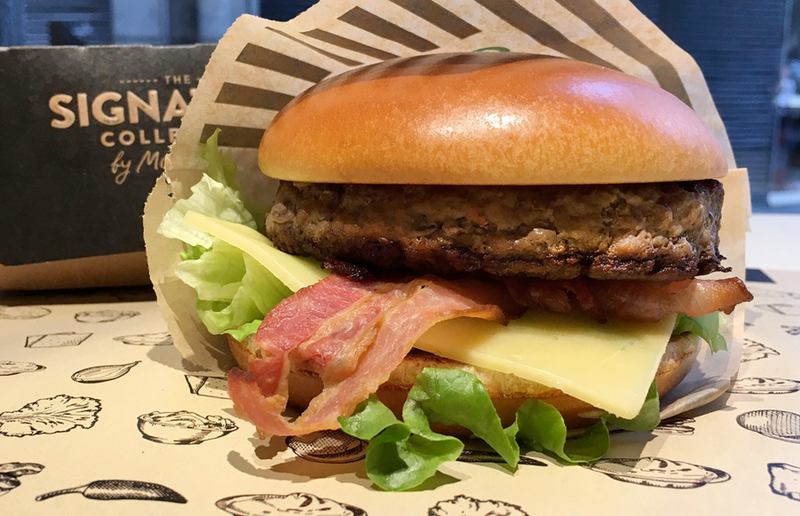 100% British and Irish beef patty, two rashers of Beechwood smoked bacon, a slice of natural cheddar cheese, wholegrain mustard mayo, ketchup, Batavia lettuce, Beechwood smoked bacon and a slice of natural cheddar cheese in a Brioche-style bun. 100% British and Irish beef patty, smoky BBQ sauce, coleslaw, red onion, Batavia lettuce, Beechwood smoked bacon and a slice of natural cheddar cheese in a Brioche-style bun. 100% British and Irish beef patty, Jalapeño slices, Pepper Jack cheese, Batavia lettuce, mayo and a spicy relish in a Brioche-style bun. 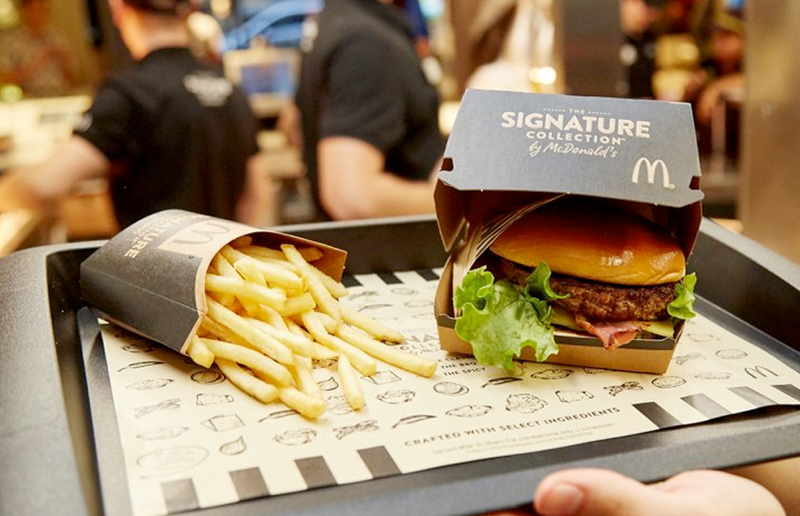 All of the Signature burgers come with fries, which are… totally the same as normal McDonalds fries, however are dressed in a fancier black painted box. First impressions? It tastes like a proper burger. It’s far more chunky than a usual hamburger you’d expect from McDonalds, however… it just doesn’t line up to the splendor of GBK, or Shake Shake. It just does not come close. The bacon was crispy, and it was refreshing to taste fresh lettuce and cheese which seemed like, actual cheese, but… It just isn’t enough to justify all the other negative factors. It also felt quite odd sitting in McDonalds, after paying a premium price (in comparison to a normal hamburger in the food giant), whilst kids dashed around and someone grabbed their 20 McNugget share box. The atmosphere, tone and delivery all let the product down, and make it into a glorified McDonalds meal. Adding an extra £2.00 to a normal McDonalds product doesn’t add up. We all visit chains such as Gourmet Burger Kitchen, Shake Shack, Five Guys… wherever, for the experience. We sit down, enjoy ordering, looking at their special seasonal burgers, and possibly having a fancy Oreo milkshake. McDonalds doesn’t, and maybe shouldn’t do any of this. There are plans to roll out the burgers in 400 restaurants across the UK next summer, so who knows, you two might get the chance to pay £4.69 or £6.19 to get it as part of a meal.